To wrap up 2017 here’s the near-mandatory, and-now-for-something-completely-different, holiday seasons DIY post. 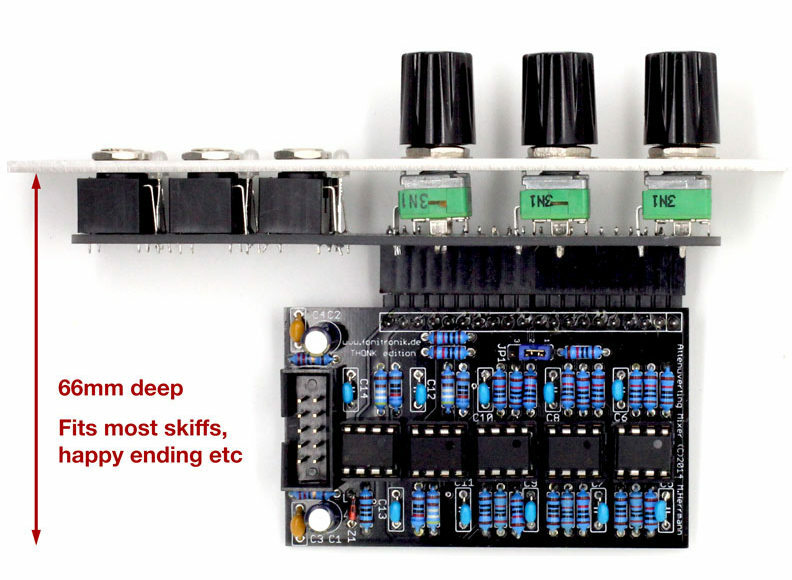 Here’s a small mod for Fonitronik Cascade, a 4HP eurorack module that allows mixing, attenuating / inverting and offsetting of three separate input signals (later “channels” or “ch.”). I totally love it for the size, features and price. 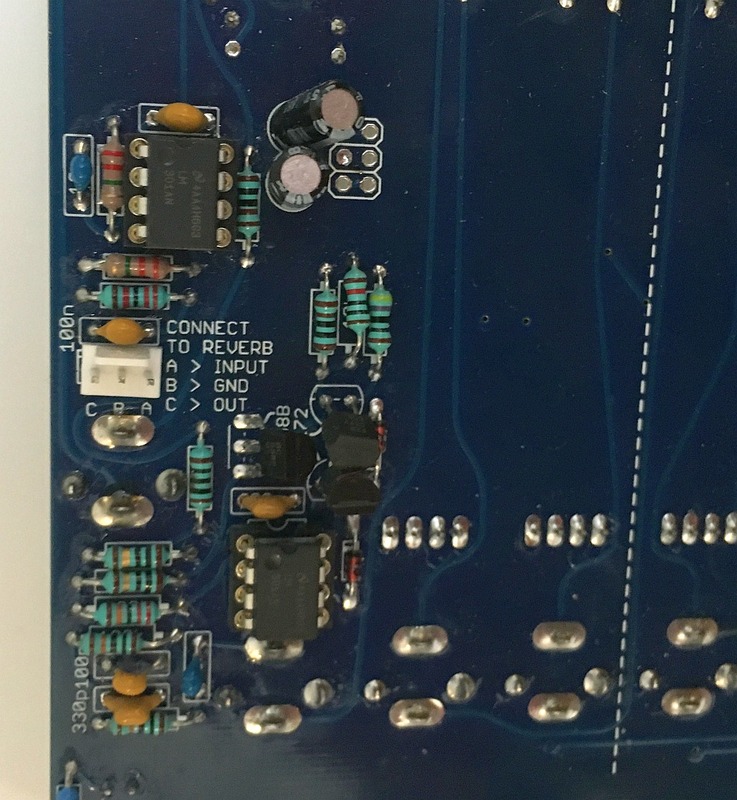 The mod brings on-board jumper terminal JP1 to front panel, so that the signal routing behavior of Cascade can be changed without removing the module from eurorack case. Fonitronik Cascade, JP1 (with blue jumper) next to the board interconnect. Photo by Thonk. Alritey let’s continue details of my TTSH with two spring reverb modifications. 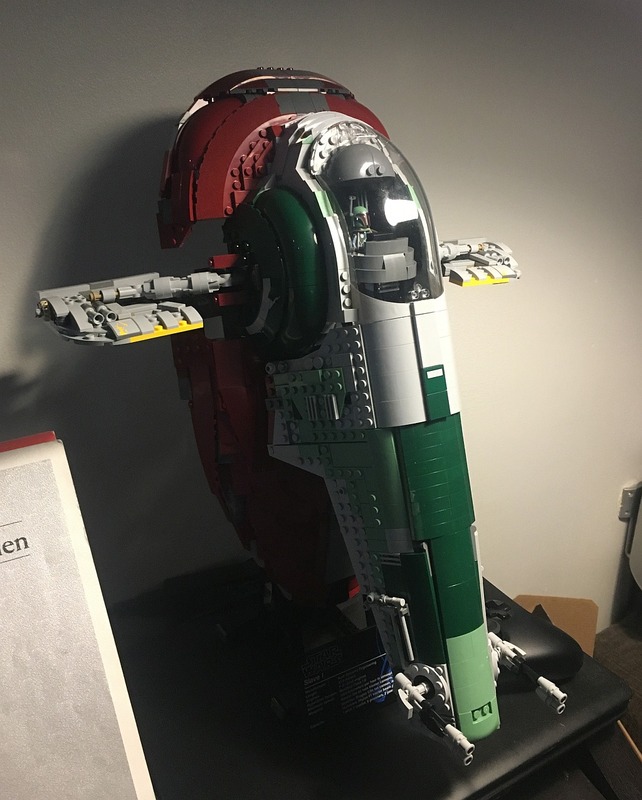 If you’re looking for other build / modification posts on the project, please visit the main page right here. 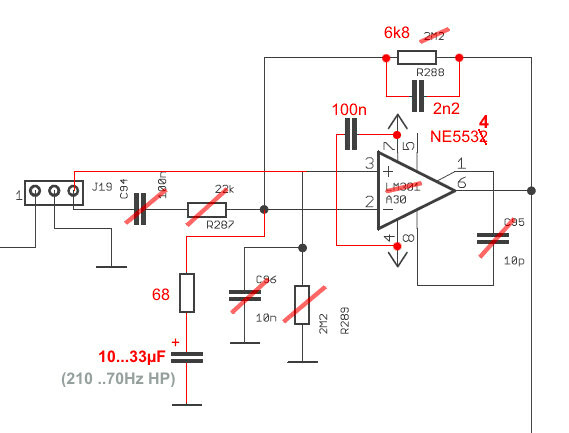 TTSH reverb driver mod schematic by Nordcore. I sort of failed with adding this mod in that I didn’t bother taking before and after audio recordings: So it’s rather impossible to say how much the noise floor was effectively reduced. On my TTSH the circuit was noisy before and is noisy after.. Yet I’d still say it’s better. Time for the next ProtoTypo build! This is a quick one I’ve been working on during the past week, and for a change I thought I’ll just get the build documentation out of the way while I’m in the zone (noooot!). 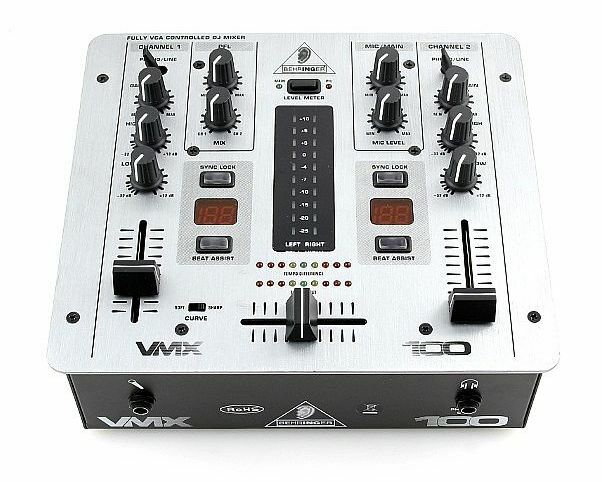 It’s a Behringer VMX 100 Dj Mixer. Photo by internet. 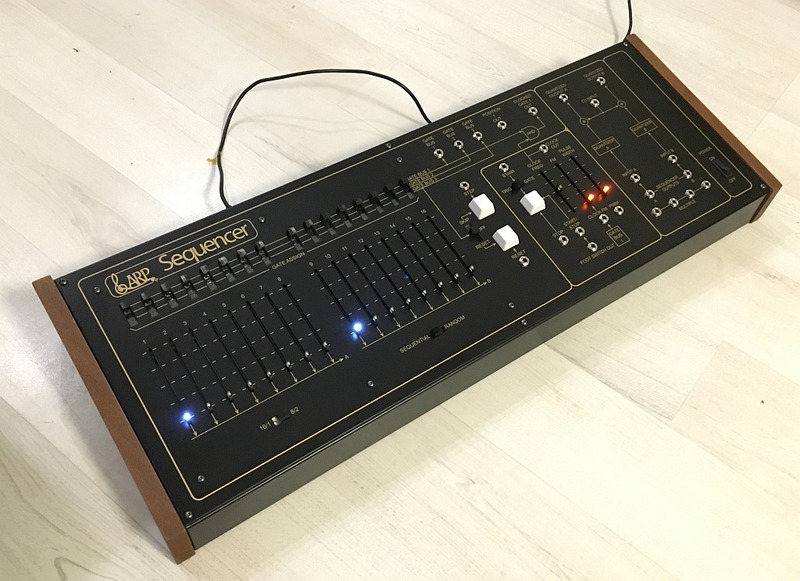 While building my TTSH I also got myself a DIY kit of a Arp 1601 sequencer clone. The build itself was so straightforward that I didn’t see the point in blogging the details. However I made some LED mods to it and thought maybe this would be of interest to owners of this device. So if you ended up here looking to change the color of LEDs on your Arp 1601 clone, look no further! If you’re in a hurry, check the summary section at the end of this post. While you can also find my posts related to the mod at Muffwiggler (Muff) forum, I thought my blog here is a more compact way to present the information. For one, since forum threads at Muff are created by product / project, there’s a number of discussions going on at the same time (esp. if a DIY build). So a thread can become convoluted. Second, threads which span years (or multiple production runs of a kit) can become l-o-n-g, adding to the ‘needle in a haystack’ effect. Third, if you’re not logged in the board system won’t show post attachments or the like. So it can be quite the dig looking for information you need. But don’t get me wrong, I love the Muffwiggler board and a lot of highly skilled people dwell there. It’s just that often the format isn’t good for finding information that you need instantly.